GirlTrek, the largest national public health nonprofit and movement for black women and girls, continues to offer a balm in a world that clearly still doesn’t recognize the beauty, badness and innovative brilliance of black women. 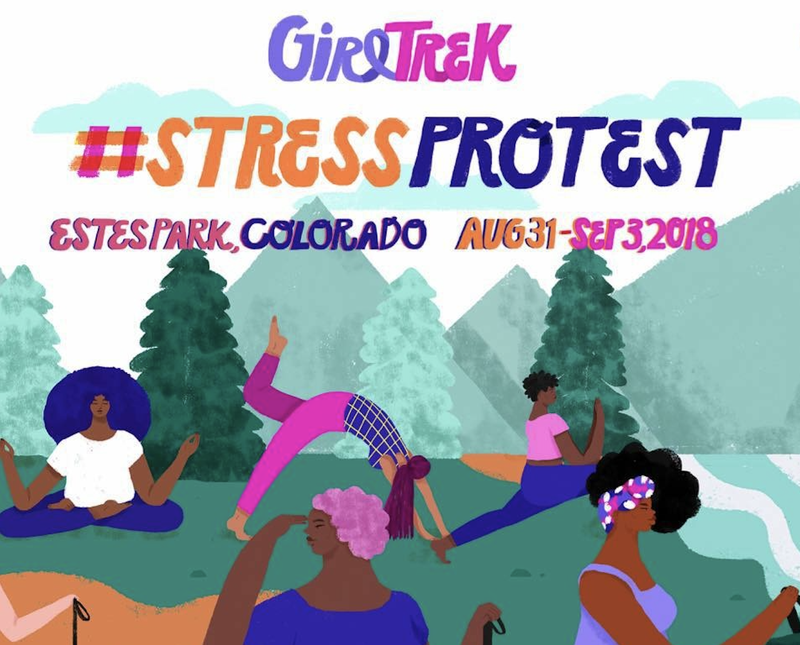 More than 400 black women from around the country will gather in the Rocky Mountains for a weekend dedicated to radical self-love, self-care, self-exploration and sisterhood in GirlTrek’s second annual #StressProtest taking place this Labor Day weekend, Aug. 31-Sept. 3, 2018. There is a health crisis in America and Black women and girls are among the hardest hit. Every day 137 Black women die from heart disease. This is more than gun violence, HIV/AIDS and smoking combined. And the effects of chronic stress are wearing on Black women mentally, physically and spiritually. Black women die younger and at higher rates than any other group of women in the country: 82% of Black women are currently overweight, 53% are morbidly obese (CDC, 2014), and 95% of Black girls, ages 6-11, will be overweight or obese women by 2034 unless diet and levels of activity change. (Garko, Michael, The Journal of Obesity, 2013). GirlTrek is a solution. “Self-care is a revolutionary act and at GirlTrek, self-care is the foundation of all that we do,” said GirlTrek cofounder, Vanessa Garrison (T. Morgan Dixon is the other co-founder). “So, you ask, ‘What exactly is a #StressProtest?’ Well, it is the ultimate self-care experience, exactly what you need to rejuvenate your soul and reclaim your inner peace. The health of Black women is a freedom fight and spending time in nature among hundreds of Black women reflecting on sisterhood and the significance of self-love and self-care is just what we need to forge ahead. Self-care is a radical concept, and we (GirlsTrek and yours truly) will be on the ground getting us some peace, love, and soul and reporting back to you! You can follow GirlTrek on The Root’s Instagram page from Friday, Aug. 31- through Sunday, Sept. 2, 2018, through social media using the hashtag #StressProtest.